9 exercises for a total body workout! You’ll be wanting to pin this amazing at-home exercise circuit to your Pinterest board! 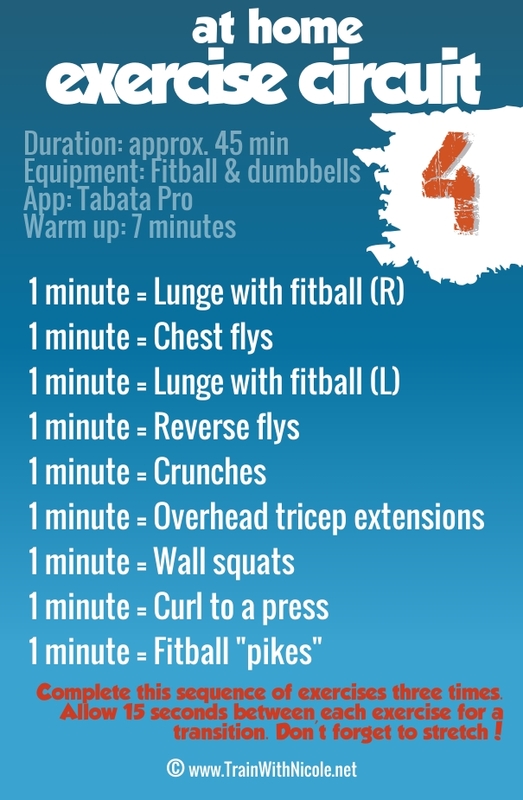 In just 45-minutes your strength workout will be complete! Using dumbbells and a fitball, perform the 9 exercises listed. Spend one minute on each exercise consciously moving through each repetition in a slow and controlled manner. Complete the entire sequence three times for optimal muscle development. Corresponding links, each which explain and/or demonstrate each exercise, can be found below. Preview each link before starting the workout. Be sure to include an adequate warm-up and proper stretching.